People, pastures, and pork are just the start. “Music, food, all these amazing chefs . . . I’m just glad to be invited and be a part of it,” says Hunter Evans, Chef de Cuisine, Lou’s Full-Serv. 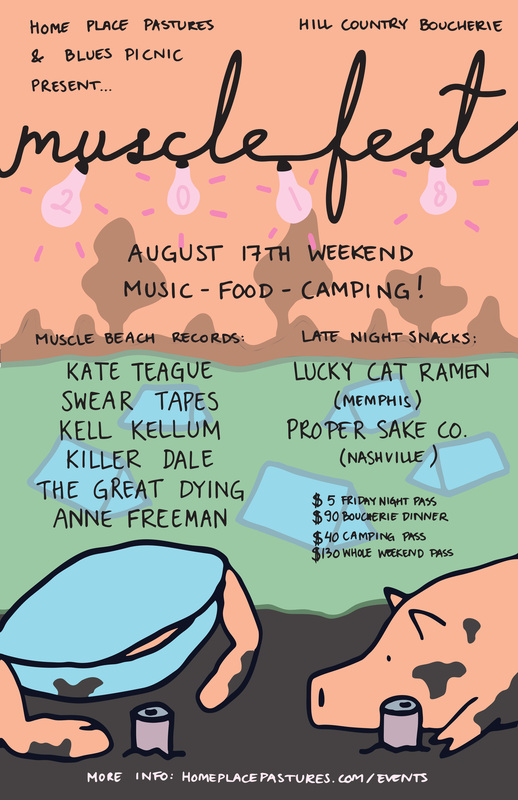 Bigger than ever, the weekend opens Friday night with a line-up of artists from Oxford’s Muscle Beach Records and concludes Saturday night with a down home blues picnic featuring world renowned Hill Country Blues and Gospel musicians (www.homeplacepastures for full musical line-up). 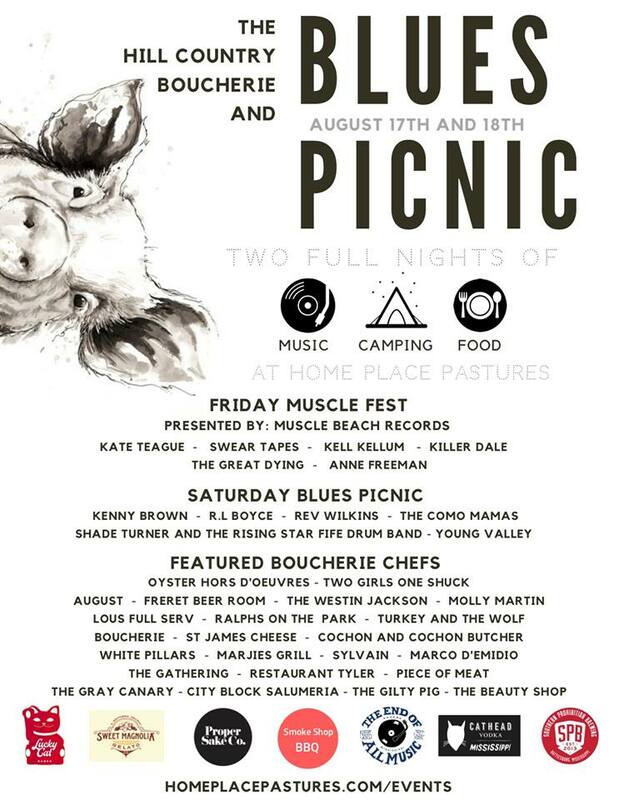 Designed to be a complete on-farm experience, the weekend event also offers guests tailored event packages from the $90 Boucherie Dinner to a $40 Camping Pass that includes entrance to Friday and Saturday’s music. Hiking, farm tours, swimming, fishing, and volleyball are also available throughout the weekend. With nearly two dozen chefs and restaurants participating this year from New Orleans to Nashville and everywhere in between, guests can indulge in everything from oysters to charcuterie—all the while enjoying music from local artists who carry on Hill Country musical traditions with global fame and influence. “You combine all of these elements and you just get this weekend people can’t have anywhere else. This is something we can only do here at Home Place in Como, Mississippi,” says Marshall Bartlett, co-founder of Home Place Pastures. For complete event information including how to purchase tickets, visit www.homeplacepastures.com. Limited media passes available for credential press members. Pre-event interviews can be scheduled and even graphics available upon request. Home Place Pastures, located on the Bartlett family’s fifth generation farm in Como, Mississippi, is the only USDA-inspected meat processing plant in the area processing pork, beef, lamb, and goat. Founded by brothers Marshall and Jemison Bartlett in 2014, Home Place features a 7,200 square foot processing plant, an on-farm retail butcher shop and a wholesale distribution network, providing high-quality meats to chefs and restaurants from Nashville to New Orleans. Dedicated to ethical on-farm practices and a return to “whole animal utilization,” Home Place plays an essential role in Mississippi’s rural food economy.